911 Restoration Houston is here with our water damage Deer Park team to be at your door to give you a fresh start after a home accident. You deserve only the best at your side in order to bring you back peace of mind. Your home is important to you, and you matter to us. So, believe us when we say everything is going to get better. Water damage can move quickly and this is why Eli and his water damage Deer Park team will arrive within 45 minutes of a call to start taking care of the situation. 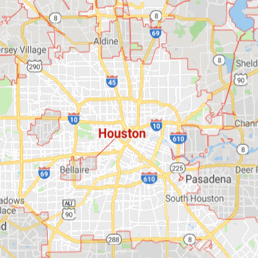 If your home is already experiencing the challenges of a water damage incident, and you want the best in the industry to take care of it for you, then contact Eli and the water damage Deer Park experts with 911 Restoration Houston today! Deer Park residents are familiar with the constant rain, humidity, and strong winds. All these conditions create a microcosm where mold and water damage can fester. A disaster does not always have to be a large storm or a flash flood. Sometimes these issues are small. For example, a leak can compound. To elaborate, the cast iron pipes that run through your home are old, so they aren’t as streamlined as PVC. Therefore, they may spring the occasional leak unbeknownst to the homeowner. 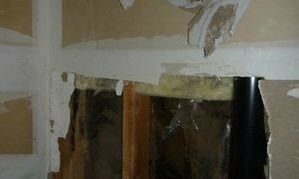 This excess moisture soaks into sheetrock due the porous material that it made up of. From there the fluctuation of heat can cause it to expand, where it will ruin the structural integrity of whatever it surrounds. Furthermore, with the trapped humidity and the organic materials that surround it then it will result in a mold infestation, which will increase the rate at which the building withers away. Now, this does not have to be isolated to simply pipe damage, as it can occur from your roof as well. Therefore, we urge homeowners to inspect their home for areas where they may experience water damage. Perform a complete top-down inspection from your roof to your crawlspace. Check areas where exposed pipes run too. Hopefully, you can avoid water damage, or catch it early on, so, that total loss is limited. If you discover a problem, then call 911 Restoration Houston. Since water damage accompanies other forms of disaster, then we need to be prepared for whatever problems you may face. Whether it is fire damage or sewage backup, trust in our all in one team to repair your home. We pride ourselves on more than just the material things, as we are here for your emotional wellbeing, too. Experiencing a home accident can be frustrating, and the follow up steps only serve as a reminder of what occurred. From contacting your adjuster, to filing an insurance claim—911 Restoration Houston will do it for you. Our water damage Deer Park team, will handle it all over for you. Trust in the training and experience we have accrued. We are IICRC certified for whatever type of disaster you experienced we are capable of handling it from the beginning to the end. Everything is going to be better than it ever was. All you have to do is call us. If your property is already taking on water from a ceiling leak, water heater malfunction, or any other means, then contact our water damage Deer Park team with 911 Restoration Houston for help today!